Between 2010 and 2013 the four key members of the research team for the ESRC-funded research project ‘If the Shoe Fits: Footwear Identity and Transition’ were Professor Jenny Hockey, Professor Victoria Robinson, Dr Rachel Dilley and Dr Alexandra Sherlock. Since the completion of the project Alexandra has continued as the administrator for the project blog. Read more about the team and their research interests below. 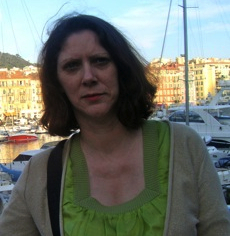 Jenny trained as a social anthropologist at Durham University and has been Professor of Sociology at Sheffield University since 2003 (now Emeritus). A degree in anthropology as a mature student introduced her to the meaning and potential symbolism of everyday behaviours, objects, places and spaces. Anthropology’s comparative method encouraged her to realise that our everyday activities are not inevitably the way things have to be done or thought about. Instead, they reflect particular values, beliefs and identities, helping us to understand the world around us and, importantly, one another. Social identity and the hierarchical divisions of age, social class, gender and ethnicity are evident in almost everything we do, in how we see ourselves and are seen. This theme has been important for Jenny. For example, she has asked what it means to be classified as ‘dying’, ‘bereaved’, ‘heterosexual’, ‘male’, and undertook ESRC-funded research that observed and interviewed people for whom these identities are relevant. More recently she explored how a ‘heterosexual’ identity may be learned as part of family life; how men ‘do’ masculinity at work and at home, and how their behaviours and sense of self might change; how the dust that remains when a corpse is cremated can help sustain someone’s identity after death and the relationships they had with living relations and friends; and, finally, how the place where a corpse is buried can reflect the person they were and how their survivors relate to them, the ‘place’ being the new site of a natural burial ground. All this led to the If the Shoe Fits research project, for which Jenny was the key initiator. Folklore, popular culture and advertising tell us they can impact on our identity – how we’re seen and what it feels like to be ‘me’. But how do people themselves experience this possibility? The same sources suggest that shoes themselves, as objects, can carry particular meanings. For these reasons, the project allowed her to continue to work in a way she was first introduced to as an anthropology student. Victoria first started teaching in higher education in the Institute For Lifelong Learning, at the University of Sheffield, where she established one of the first undergraduate degrees in Women´s Studies in the UK, in the 1980s. She then went to the University of Manchester, and for 3 years from 1999 was acting Director of the Women’s Studies Centre in the department of Sociology. She later moved to the University of Newcastle, lecturing in Sociology, before returning to Sheffield in 2004 where she became Senior Research Fellow and lecturer in the department of Sociological Studies. In 2016 Victoria was appointed Professor of Sociology and director of the Centre for Women’s Studies at the University of York. Victoria’s empirical and theoretical research is in three main areas: sexualities, especially heterosexualities; men and masculinities; and gender/feminist theory, particularly debates around Gender/Women’s Studies and gender theory in the academy. She is interested in the continuities and changes in the institution of heterosexuality across the twentieth century, with regard to intimacy and the emotions, spatial aspects of sexuality, ageing and the life course. She has explored masculinities through `sporting masculinities’ and changing masculinities in public and private spheres. Key sociological concerns in this context are: the fluidity of gendered identities, gender relations, the body, risk, intimacy, emotions, and the life course. A feminist theorising of the sociology of the everyday and the extraordinary is central to her research interests here. Rachel was the Research Associate on ‘If the shoe fits’ project and was responsible for the day-to-day project management. She has a multi-disciplinary background, having studied history, philosophy, gender studies, sociology, sport and leisure studies. Her research centres on the sociology of the body, identity, gender, the environment, extreme sports, ethnography, visual methods and multi-sensory lived experience. 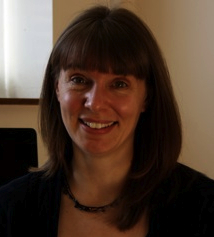 Prior to taking up her post at the University of Sheffield, she worked at the Macaulay Institute in Aberdeen (now the James Hutton Institute) as a Postdoctoral Researcher on a range of projects relating to the environment. These included exploring the relationship between access to green space (urban and rural) and health/wellbeing, forecasting future demand for outdoor recreation and working in partnership with Cairngorms National Park Authority to explore issues of governance. Rachel developed her interest and knowledge of visual methods working on a project exploring the formal and informal institutions that govern people’s practices in the outdoors and how particular mobilities in particular spaces effect embodied, multi-sensory ways of knowing and experiencing different environments. The project employed an innovative method, which incorporated a head-mounted video (headcam) as a research tool with other ethnographic methods. Rachel is particularly interested in how new technologies can provide researchers with new ways of addressing methodological challenges and the potential for visual methods to develop our understanding of habitual, taken-for-granted, embodied, emotional, kinaesthetic and sensory experience. In relation to shoes, Rachel is particularly interested in how the technologies of different shoes mediate movement in and through different environments; how this can create and develop different physical competencies and various forms of comportment. She is interested in the relationship between cultural discourses, social structures (such as gender, class, ethnicity) and the experiential ways that we come know ourselves, others, the environment and the wider world. Alex originally studied textile design at Nottingham Trent University before embarking on a series of careers in textile design, fashion design and then advertising. A propensity to consider and analyse fashion and advertising overtook her practical interests, which led to an academic career in the study of material culture. She received an MA with distinction in Material and Visual Culture from the department of Anthropology at UCL in 2010 and became the postgraduate researcher for ‘If the Shoe Fits: Footwear Identity and Transition’. Alex now lectures on the Bachelor of Fashion (design) (honours) program at RMIT University in Melbourne, helping young designers to understand deeper theoretical and sociological issues associated with the material world. Click here to visit Alex’s blog or access her articles on Google Scholar. Hi Jenny, Vicky…you may remember me from my work with Allison on the children & hospital space project. Recenlty I saw Lorna and was reminded of your project. I am sure you have found this Welsh community project and their website long ago http://www.shoetales.co.uk/, but I couldn’t help thinking of you when I came across it while looking at a new fairy tales site. All best, sounds like a fascinating project. I personally have loads of shoe tales and memories and not nearly enough shoes. Thanks Jo! Sorry about the delay in replying. We hadn’t found the site but I’m pursuing it. Have ordered the book. Send me your email address.